Contest Rules - Ends 3/1/2019. No purchase necessary. 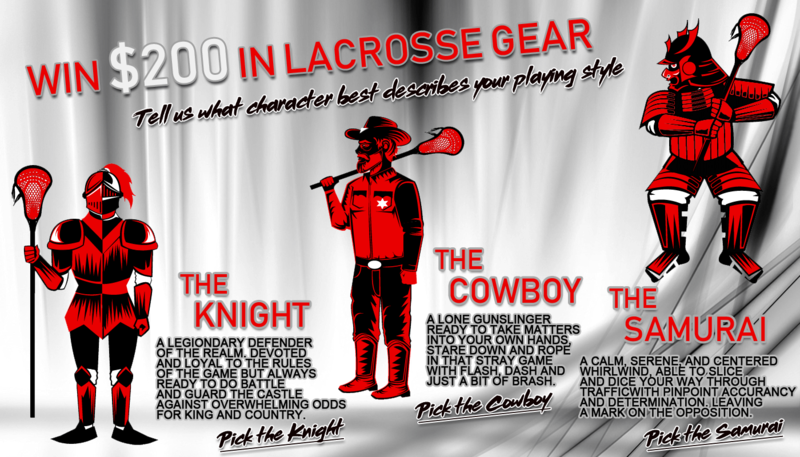 Winner will be notified by Email and Prize will be in the form of a Store Credit valid towards Men's or Women's Lacrosse Equipment and Footwear. No Cash Awards. Manufacturers Restrictions and Pricing Policies Apply. Winner may be asked to Contact us for use of Image in Promotional Materials. Offer Products Limited by any Shipping Restrictions that may apply. Product must be available on Website at time of redemption. No Special Orders. Store Credit non transferable.